In September last year, Josh Tillman stopped by Third Man Records’ Nashville headquarters on an otherwise ordinary Tuesday afternoon and surprised them all with a lunchtime solo, acoustic set before his sold-out Ryman Auditorium performance. They, of course, had their 1955 Scully Lathe at the ready to capture the occasion. The recording of this Blue Room performance will be available for purchase on September 28, 2018, and pre-orders are available now. For a preview of what’s to come, listen to “So I’m Growing Old On Magic Mountain (Live At Third Man)” HERE. 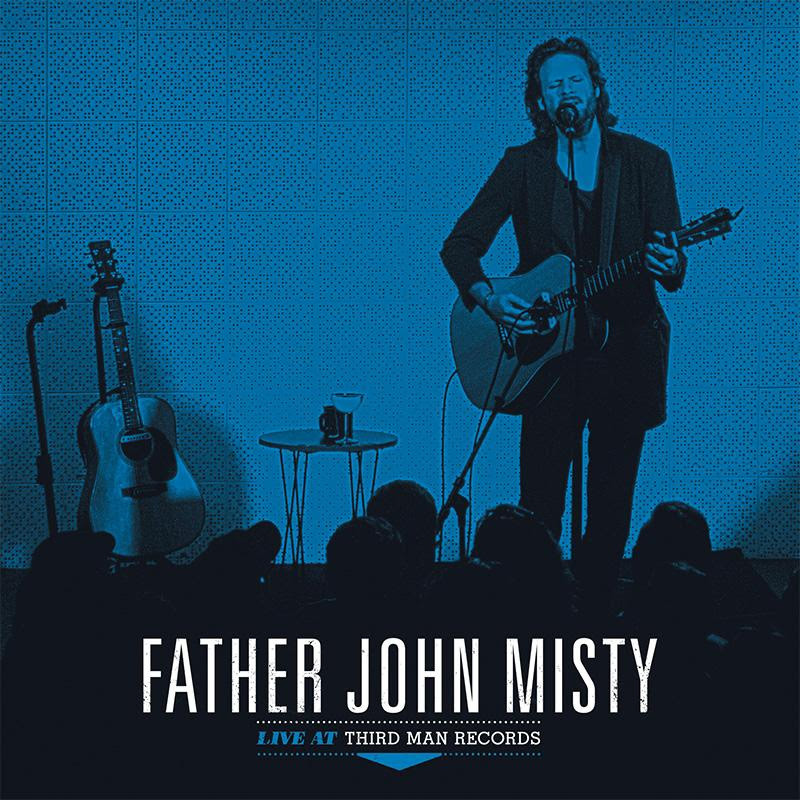 Live at Third Man Records covers songs from all three Father John Misty albums out at the time of its recording, heard here stripped totally bare. Watch the cutting needle drop (and then drop again) in this video released by Misty’s team shortly after the performance, and preview “Chateau Lobby #4 (in C for Two Virgins)” the last song on the A-side here. Pre-Order the LP now at http://thirdmanstore.com and shop all things Father John Misty at https://fatherjohnmisty.store/. Father John Misty is on tour now. Tickets and additional info at fatherjohnmisty.com.